Pickle's Place is a real gem. 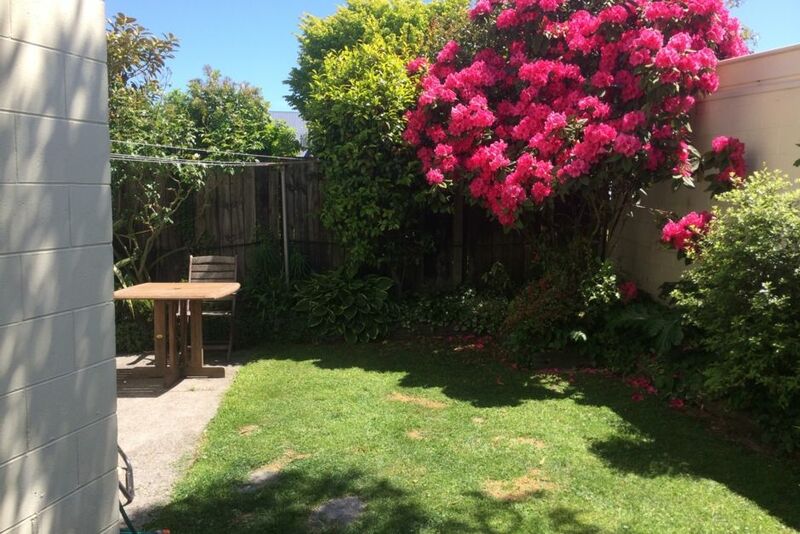 You will love this quiet location and quaint little fully-fenced garden which captures the all day sun. Great for BBQ's or a nice quiet cup of tea. The property is situated beside Merivale Reserve which has a play area and tennis courts, (Tennis rackets are available). To enjoy a BBQ the house has great indoor/outdoor flow. Convenient off-Street parking. It is well appointed as the owners use it regularly themselves. Help yourself to Tea/Coffee, any condiments and the coffee machine. Wifi Broadband and a Smart TV are provided so you can keep up with your favourite Netflix programmes. Please note: no charge for school children and toddlers or pets. Games available. Pets are generally ok, but check first. Please note the house is 2 storeys, it has steep stairs. Walking distance to specialist Merivale doctors and St Georges Hospital. Walking distance to all the private schools, Merivale Mall and Hagley Park. Linen for hire if prearranged $25 total. Price per night is for 2 adults - $20 per extra adult (school children and toddlers free). Please park FACING the 3rd garage nearest the back fence. * Property must be left very clean for the next people. If you have opted for a cleaner, leave it tidy. No dirty dishes etc. Location was excellent and townhouse was private and fenced which was great for the dog! Property great. Very private, sheltered, and sunny. Great wee spot for dogs and location is so central. Good location, nice and warm. Merivale is one of the oldest suburbs of Chch and also one of the most affluent. The streets are intersting to walk around as the area has a mixture of old and new architecture, private schools, specialist surgeons, and exclusive shops. It has a number of pleasant parks to enjoy.